Mr. Diego Marini is currently in charge of managing HR, Recruiting & Employer Branding Projects both for Corporate Functions and Branches at BNL - BNP Paribas Group. He joined BNL BNP Paribas in 2012, after about 7 years of experience in Management Consulting where he followed strategic projects with a focus on HR&Organization, Talent Management&Acquisition, Sales&Marketing at primary international clients operating in Financial Services and Consumer Goods industries. Mr. Marini holds a Master’s Degree in International Management from LUISS Guido Carli University, Italy, loves international and dynamic environments, team-working, complex projects and, most of all, creativity. When he has free time he likes to play kick boxing&gym, travel, drink great wine and have fun with his friends! His core specialties are Talent Management & Acquisition, Training Strategy, Employer Branding, Business Strategy, Workforce Planning, Project management, Innovation, Business Process Reengineering, Organization Development, Sales & Marketing. Our Employer Branding Revolution Educational Course, named THE EMPLOYER BRAND EXPERIENCE - HOW TO BUILD A WINNING EMPLOYER BRAND STRATEGY!, will be officially delivered on May 7th an 8th in Milan at Blend Tower ( Piazza 4 Novembre, 7) in special association with THE BOSTON CONSULTING GROUP with STEFANO LAVIZZARI, LINKEDIN with MICHELE BARBERI, DIEGO MARINI, Serenella Panaro from UNIVERSITY OF TRENTO, DAVIDE SCIALPI (Global Employer Brand thought leader) from Reinventa Dee Oceans. 08/05/2013 - DAY2 "THE EMPLOYER BRAND EXPERIENCE: HOW TO BUILD A WINNING EMPLOYER BRAND STRATEGY. DAY2! 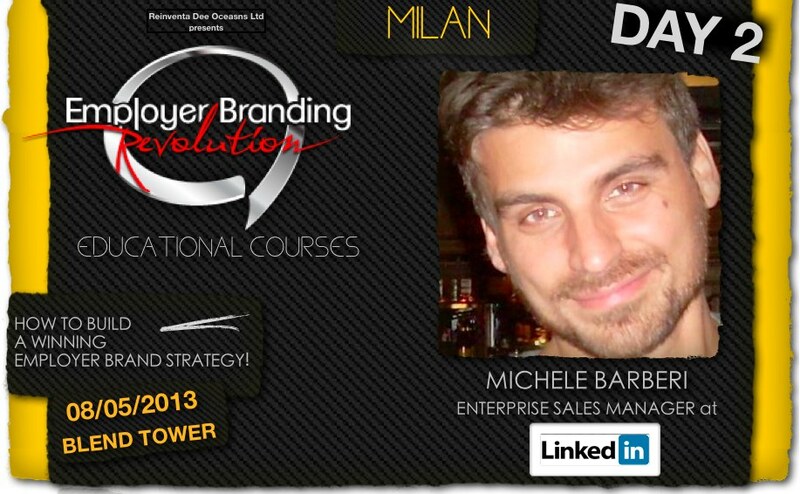 Michele Barberi is Enterprise Sales Manager at LinkedIn Italy, the professional social networking site. Prior to joining Linkedin, Michele has worked as Sales Manager for companies like Monster.it for more than 7 years and for Nielsen Research for about 2 years. He earned Master of Science degree in Law from Università degli Studi di Milano and He got an MBA for Executives from MIP - Politecnico di Milano. 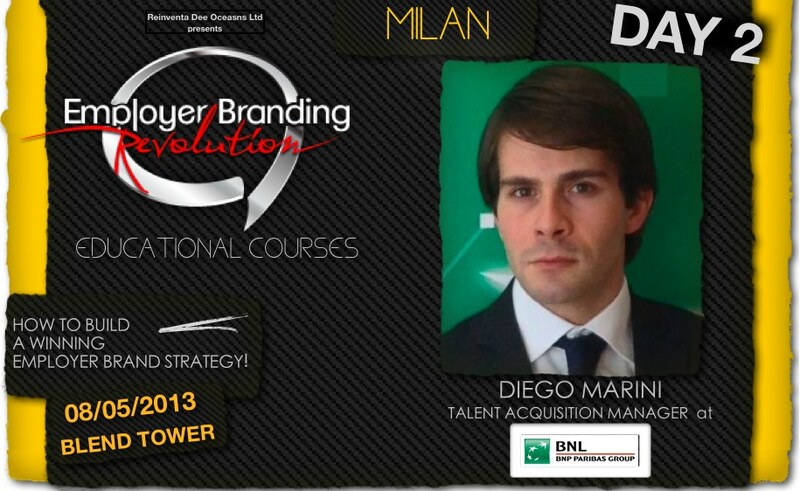 Our Employer Branding Revolution Educational Course, named THE EMPLOYER BRAND EXPERIENCE - HOW TO BUILD A WINNING EMPLOYER BRAND STRATEGY!, will be officially delivered on May 7th an 8th in Milan at Blend Tower ( Piazza 4 Novembre, 7) in special association with THE BOSTON CONSULTING GROUP with STEFANO LAVIZZARI, LINKEDIN, DIEGO MARINI from BNL BNP PARIBAS, Serenella Panaro from UNIVERSITY OF TRENTO, DAVIDE SCIALPI (Global Employer Brand thought leader) from Reinventa Dee Oceans. Here's Michele Barberi's Linkedin profile. 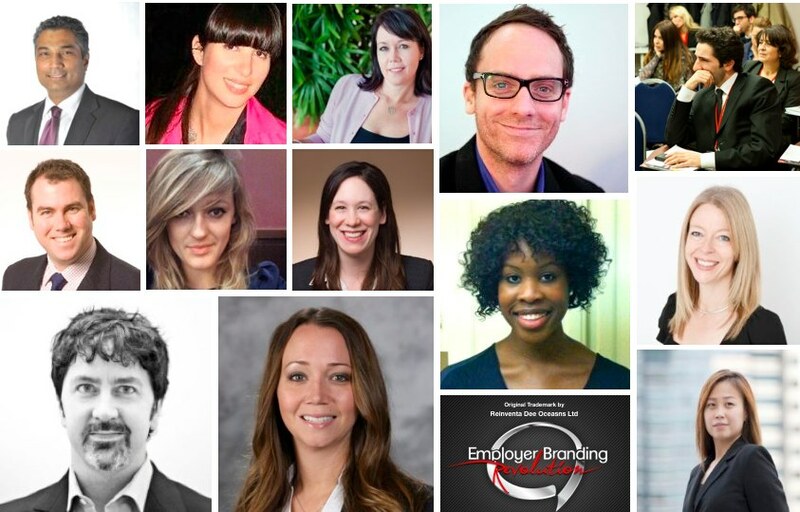 Employer Branding Revolution hits 1000 Glocal Employer Branding Specialists! We are proud to inform that Employer Branding Revolution, the world's most authoritative employer branding community, is going to reach an important milestone!! 1000 and we say it again 1000 glocal employer branding specialists from anywhere in the world. Only a few days left and we will get this important result. Which represents an incredible achievement for taking employer branding to the next level. But, as you know, the revolution has just begun!! and you, and we say it again, YOU! are and you can be active part of this Revolution!! Come and join us and contribute with your incredible power , thoughts, competences and energy for turning this ambitious goal in reality from wherever you are in the world: USA, North America, Mexico, Brazil, Perù, Chile, Italy, UK, Scotland, Ireland, Finland, Sweden, Norway, Russian, Poland, Austria, France, Spain, Luxembourg, China, Asia, Australian, Saudi Arabia, Ukraine, Japan and so on!!! 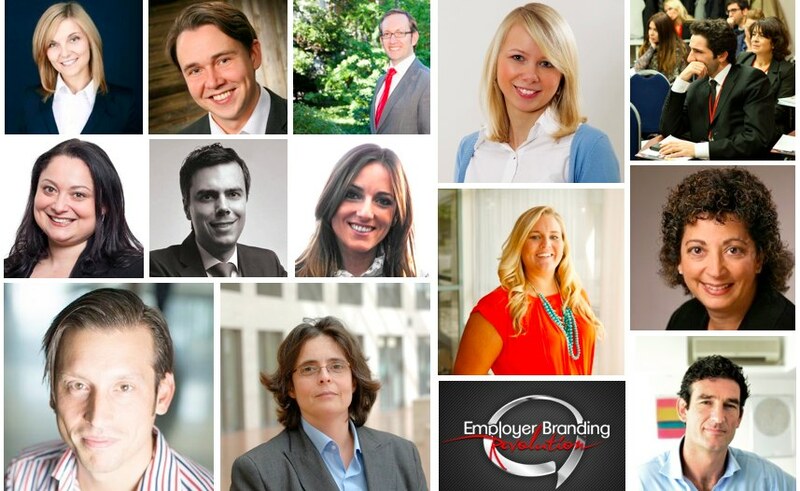 Employer Branding Revolution is the world's most authoritative community on employer branding themes. As you will know, wa have recently delivered our first workshop to enhance our efforts about it. 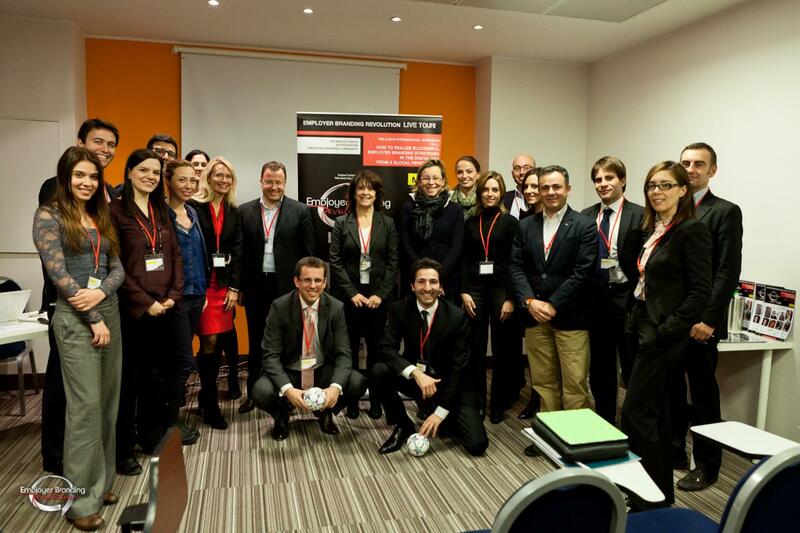 Only a few weeks ago in Milan, we have organized Employer Branding Revolution LIVE TOUR, the first 2 days international workshop about how to implement employer branding strategies in the digital era from a glocal perspective. It has been an incredible and succesful experience built in collaboration with companies like L'OREAL HQ, THE BOSTON CONSULTING GROUP, UNIVERSUM, THAP GROUP, DAVIDE SCIALPI, LUIS GALLARDO, UNICREDIT GROUP and with participation of the following companies MASERATI, BOSCH, FERRERO, BARILLA, MEDIOLANUM BANK, LEROY MERLIN, ENI CORPORATE UNIVERSITY, BNP PARIBAS. Here are all pictures about our 2 days. Check this out! So, It's now time to test and involve other specialists belonging to our network in another activity.. We are now commited to delivering another awesome employer branding revolution line. That's going to be something completely different from our said workshop. We are nearly committed to organizing an educational course. In other words, We have set up 2 days of education about how to develop a today's compelling employer brand experience in order to allow employer branding, hr, communication and recruitment managers / specialists to acquire competences, knowlegdes, methodologies and skills about how to creare a today's winning employer branding strategy. 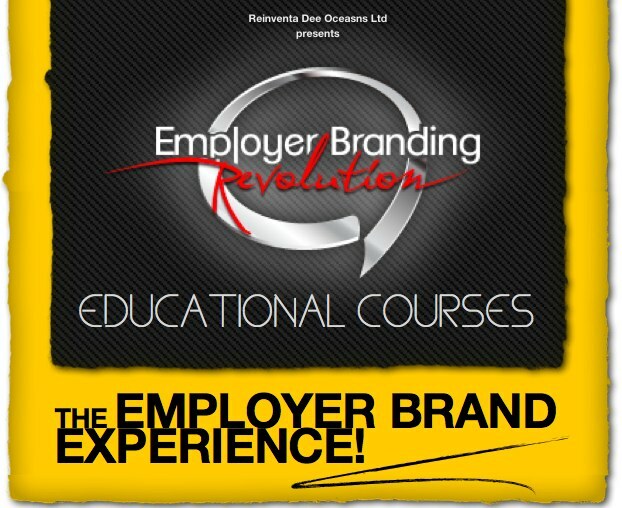 Our Employer Branding Revolution Educational Course is named THE EMPLOYER BRAND EXPERIENCE - HOW TO BUILD A WINNING EMPLOYER BRAND STRATEGY!. It will be officially delivered on May 7th an 8th in Milan at Blend Tower ( Piazza 4 Novembre, 7) in special association with THE BOSTON CONSULTING GROUP with STEFANO LAVIZZARI, LINKEDIN, DIEGO MARINI from BNL BNP PARIBAS, Serenella Panaro from UNIVERSITY OF TRENTO, DAVIDE SCIALPI (Global Employer Brand thought leader) from Reinventa Dee Oceans. Serenella Panaro is Associate Certified Coach and Member of ICF-International Coach Federation. Her activity is focused on Career Transition, Personal Branding, training and soft skills development. As Business Coach, her targets are: Entrepreneurs, Executives and Professionals who want to improve their life and career, or develop new business. 2- help New Grads, Phd Students and Entry-Level Employees in creating their personal and professional brand, building strong professional networks and becoming aware of cross-cultural challenges. Passionate about all aspects of Communication, Serenella writes articles for Career Guides and specialized publications. She also trains people on how to design Professional Social-Media profiles, write effective Bio’s, CV/Résumés and Cover Letters. With a flair for personal growth and new trends, Serenella mixed her Academic studies (a Master Degree in Languages and Literatures, a Degree in Fashion Design and a Master in Public Relations) with relevant years of work experience in the Fashion & Luxury, ICT and Education Sectors. Nowadays this know-how represents a real asset for coaching people in career and life transition. Serenella divides her time between Rome and Trento. She loves theatre, networking and learning from people! 07/05/2013 - DAY1 "THE EMPLOYER BRAND EXPERIENCE: HOW TO BUILD A WINNING EMPLOYER BRAND STRATEGY. DAY1! 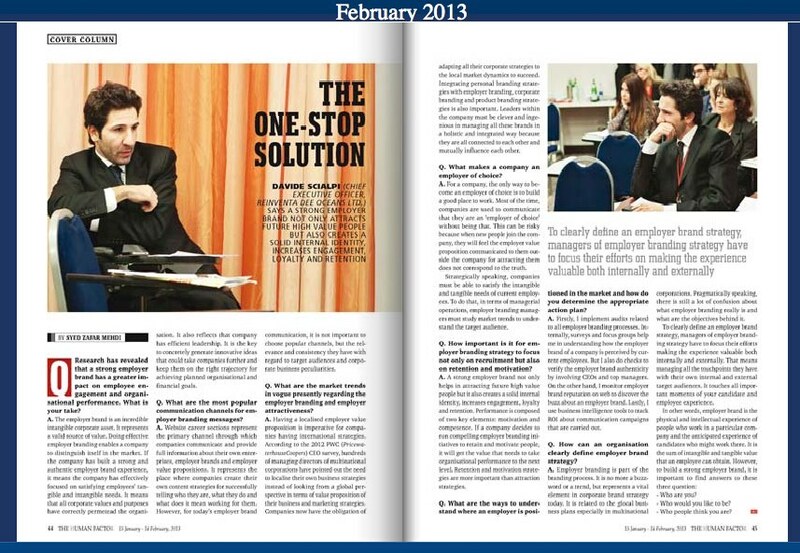 I recently had an interview about the latest and hottest issues in employer branding from a glocal perspective on THE UMAN FACTOR Magazine, which is the monthly HR and business leadership magazine from INDIA (ASIA) published by Planman Media, with focus on the present HR scenario, best practices in the area, and views of the leading practitioners in the industry. I nearly answered to 7 various and delicate questions about how companies can successfully run global and local employer branding strategies today. I was not the only one doing that. In fact, entire e-magazine has been dedicated to employer branding issues by involving the world's most authoritative thought leaders within the field. So, consequently, you can find also other views and interesting contents about it from other valid companies and experts. "The Employer Brand is an intangible corporate asset!" "If the company has built a strong and authentic employer brand experience, it means that the company has effectively focuses on satisfying employees' tangible and intangible needs"
"For a company, the only way to become an employer of choice is to build a good place to work"
So if you want to read more and get other golden nuggets about employer branding, here you can find the entire interview and the link forwarding to asiatic e-magazine: THE HUMAN FACTOR MAGAZINE - WORLDWIDE EMPLOYER BRANDING ISSUES. Have a good reading and do let me know what's your say about it!